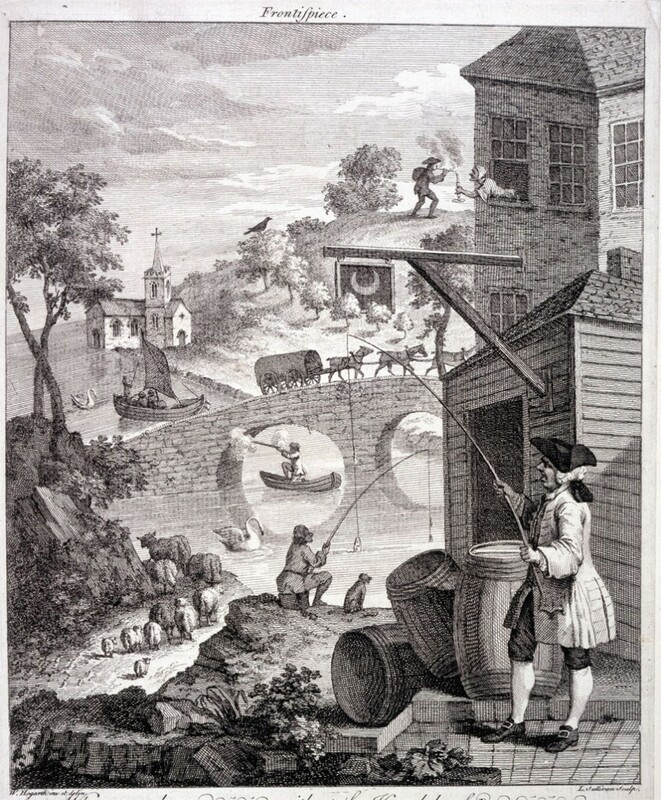 This is a detail from British artist William Hogarth‘s print made in 1754, to demonstrate mistakes in perspective. 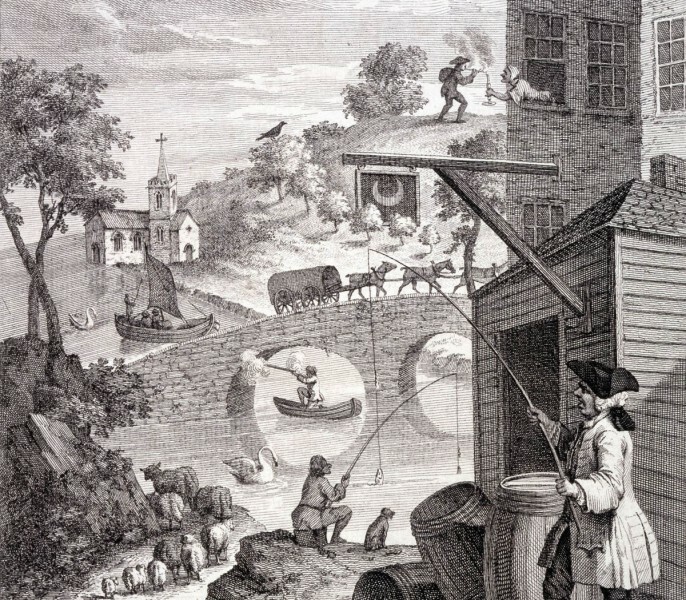 For example, the sheep lower left get larger with distance, not smaller, and the woman top right is leaning out of a window offering a light to a man in the distance. However I’m really showing it because a brilliant new animated demo of perspective anomaly, by Kouchiki Sugihara, has just won the first prize in the international Best Illusion of the Year Contest. Don’t miss it, the ten best entries are shown, and there is some brilliant new stuff. Coming back to Hogarth, his print was way before its time. It was over a hundred years later, late in the nineteenth century, that illusion and puzzle picture books became common. Then artists took up the challenge, Magritte and Escher for example. Want to see the whole of Hogarth’s print?